Obsessive-compulsive disorder (OCD) is an anxiety disorder. They are characterized both by obsessions , which are invasive thoughts that generate fears and anxieties , and compulsions , such as an irrepressible urge to perform repetitive gestures or mental acts such as counting or reciting a sentence internally. Adults with OCD are aware that their obsessions are abnormal and disproportionate, but they cannot control them. Faced with these obsessions, and to limit the anxiety, they set up a ritual and have compulsive behaviors. These behaviors are translated by concrete actions but can also be internal (ruminations). The rituals are intended to prevent danger and reduce anxiety. People with OCD cannot do without these repeated behaviors, although they find them absurd. The avoidance, which is to do everything to not get into certain situations known to trigger obsessions and rituals, is also part of the features of OCD. OCD is not a simple mania. These are acts repeated to the extreme. The daily life of people with Alzheimer’s is upset. Symptoms usually take more than an hour a day. About 2.5% of the population would suffer from obsessive-compulsive disorder. However, only 37% of people with OCD would see a doctor. The shame they feel about their symptoms would prevent them from consulting. OCD is a common psychiatric disorder that usually affects the young subject. There are many tests or questionnaires. The Yale-Brown obsession-compulsion scale (Y-BOCS) is the most widespread. It measures the severity and intensity of OCD. 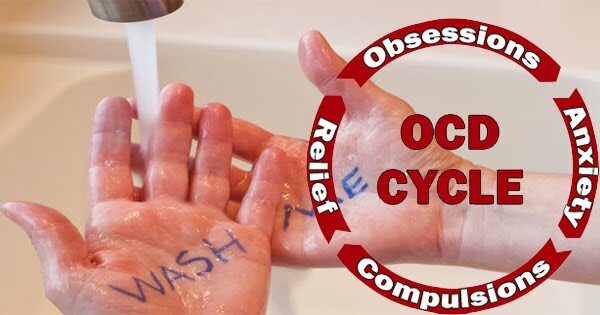 It focuses on the duration of the obsessions, on the effort provided by the patient to fight against and the embarrassment and anxiety generated by OCD. It gives an overall score between 0 and 40. An assessment of depression and anxiety is often offered as an adjunct and a comprehensive psychiatric assessment can detect other psychiatric disorders associated with OCD. Only a mental health specialist can diagnose obsessive-compulsive disorder. It is important that the diagnosis be made. Too often, because this disease is “shameful”, sufferers have difficulty accessing it. Yet treatments exist and can be effective. The origins of obsessive-compulsive disorder are unknown. They would be linked to multiple factors: genetic, neurophysiological, psychological or even immune. For the genetic part, a study shows that there are 8 times more psychiatric disorders in the close family of a person suffering from OCD than in the general population. Studies on twins 6 show that if one of the twins has OCD, the other has a higher risk of being too. Some brain neurotransmitters, especially serotonin, are singled out. Serotonin is a substance that ensures the passage of the nerve message between neurons (synapses). In case of OCD, the amount of serotonin would be insufficient. The substance no longer plays its role, information circulates less well. A hyperfunctioning of certain brain structures, in particular frontal and orbito-frontal is also implicated. Regarding the psychological factors, a certain vulnerability of the patients related to personality disorders and / or events causing stress is put forward. For example, cognitive researchers evoke an overestimation of the dangers of obsessional persons or a disruption in the processing of information, disruption caused by irrational beliefs. The acronym PANDAS refers to a subtype of OCD identified in children following a trivial infection with streptococci (rhinopharyngitis, angina). Immunomodulatory therapies, frequently used in neurology, would be an effective therapy. 10% of children with OCD would be affected by this subtype. People who are concerned with obsessive-compulsive disorder very often suffer from depression. It is often this pathology, and not the OCD, that leads them to consult. They may also suffer from major depression, eating disorders (bulimia, anorexia), substance abuse, anxiety, social phobia, panic disorder. These people tend to devalue themselves and have very low self-esteem and their abilities. Executive function disorders (planning, organizing, etc.) can also be observed. OCDs have common symptoms with trichotillomania (tearing hair), tics (involuntary motor behaviors), mania (usually disorders), generalized anxiety disorder (GAD), and hypochondria. However, these disorders are different. Their treatment too. In case of associated disorders, OCD is more difficult to diagnose and treat. Finally, OCD is common in people with neurological disorders such as Tourette’s syndrome and Huntington’s disease. Untreated, obsessive-compulsive disorder can be more and more important and therefore more and more disabling. They may prevent the person to live normally. Some people become addicted to alcohol or go into depression. Finally, suicidal acts are relatively common among these people. This risk must be subject to special monitoring. OCDs need to be diagnosed and treated. The symptoms are both obsessions and compulsions, the latter being realized in response to obsessions. These obsessions are repeated, invasive and persistent. There are genetic factors related to obsessive-compulsive disorder. There are as many women as men affected by OCD. Men suffer more from sexual obsessions and obsessions about symmetry and accuracy, women more aggressive obsessions and washing rituals. The TOC appearance of age to be between 21 and 35. In children, it is estimated that the age of onset is on average around 10 years and 3 months. The events of life as a death can cause stress which in turn can generate obsessions and the setting up of rituals. OCD is thought to be due to a lack of serotonin in the brain. The drugs mainly used increase the amount of serotonin in the synapses (junction between two neurons) by preventing the recapture of the latter. These drugs are called serotonin reuptake inhibitors. They facilitate the passage of the nervous message. They are effective on OCD after several weeks of treatment. The treatment usually lasts for several years. In case of reoccurrence of disorders, the dosage may be increased or a new molecule tried. More than half of patients would improve their condition with appropriate drug treatment. Clomipramine (Anafranil), which belongs to another class of antidepressants, tricyclic antidepressants, which was first demonstrated efficacy in OCD, may also be prescribed. It is usually second-line, if the first drugs have not proven effective, since its side effects can be significant. The doses prescribed for OCD are usually higher than in the treatment of depression. If the treatment proves to be ineffective, a psychiatrist must be consulted because other molecules such as lithium or buspirone (Buspar) can be tried. Anxiolytics belonging to the benzodiazepine class may be prescribed to reduce anxiety. For example, clonazepam (Rivotril) has shown some efficacy in the treatment of OCD. However, risk of mood changes, irritability and suicidal ideation has been reported. Electrostimulation used in Parkinson’s disease, has achieved some results in severe OCD or resistant to treatment. Deep brain stimulation (SCP) involves implanting electrodes into the brain and connecting them to a stimulator that delivers an electrical current. This invasive technique is still experimental. Less invasive, transcranial magnetic stimulation (sending a painless magnetic pulse by means of a coil) can be proposed. Disorders associated with OCD should also be supported. The treatment of obsessive-compulsive disorders usually involves behavioral and cognitive therapy. This therapy aims to reduce anxieties related to obsessions and reduce the compulsions caused by these obsessions. The sessions can be composed of practical exercises, the person being confronted with situations that she fears, with relaxation or with role plays. Drugs and psychotherapies can be associated and have demonstrated their effectiveness. Indeed, two thirds of the patients treated would see their disorders decrease. The combination of both is usually offered directly in case of severe disorders or after the failure of a single drug. Sometimes the disease is resistant to treatment. This generally concerns people with severe disorders who also suffer from bipolar disorder and eating disorders . Hospitalization may be necessary.